Why is my JuanTax account locked? This article shows how to handle locked accounts. 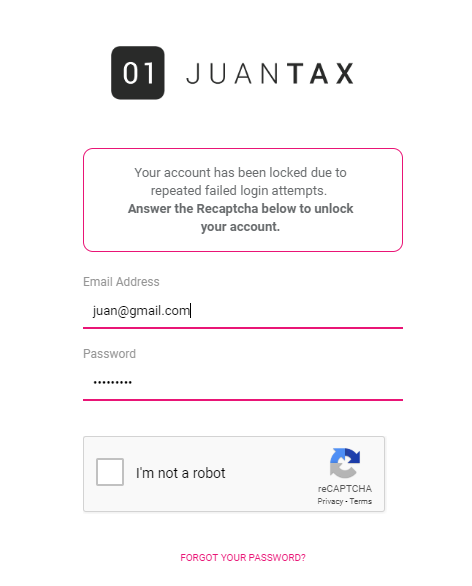 As one of our safety measures on protecting your JuanTax account, our system automatically locks an account after three (3) unsuccessful login attempts. To unlock, satisfy the reCAPTCHA verification and click the right arrow icon. You forgot your password again! Read this article for you to know the things that you need to do once you had forgotten your password and secure your account.